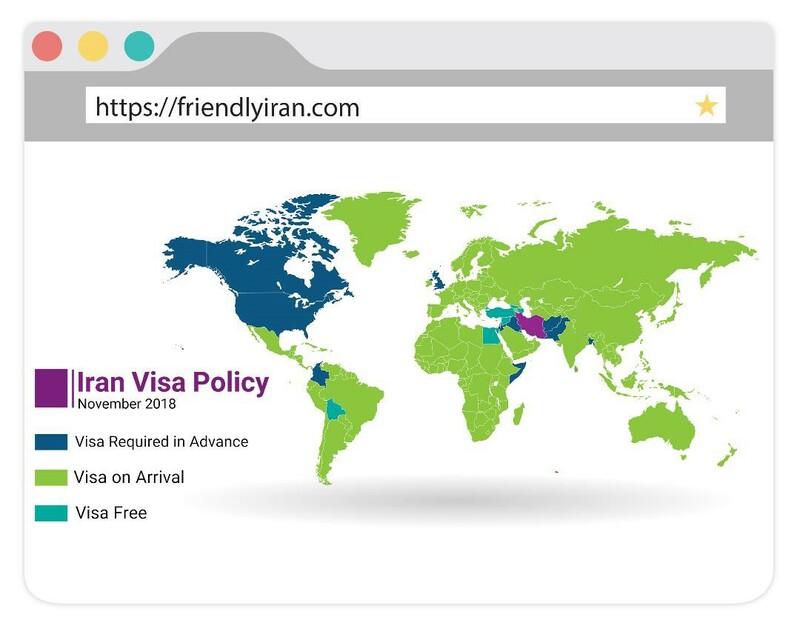 You can travel to Iran without visa if you are the citizen of one of Iran visa free countries. Iran visa is like the other countries’ visas but has its own formalities. Some of the regulations depends on the passport holder citizenship. Nowadays Iran visa is electronic, and it is called Iran E-visa. 1) visa free countries include Syria, Turkey, Lebanon, Azerbaijan, Georgia, Bolivia and Egypt. To apply for all types of hassle-free Iran electronic visas (Iran e-visa), your passport must have at least six-month remaining validity, beyond the travel date and also two blank pages. (Type A) Entry Visa or business visa for commercial, economic, cultural or industrial intentions and attending these kinds of conferences or sport events. An invitation letter from the organization you are going to visit is necessary for Commercial visitors. (Type B) Tourist Visa (single or multiple entry for maximum 30 days): is required to visit Iran as a tourist. (Type C) Pilgrimage Visa is required to visit the shrines and sacred sights of Iran for foreign Muslim pilgrims. (Type D and Type S) Diplomatic and Service Visas are required by all nationals who have diplomatic and service passports and are going to travel to Iran on the official or diplomatic mission. (Type E) Student Visa is required to study in Iran. (Type F) Work Permit Visa is required for working in Iran. Before applying for this kind of visa, you should hand over your work permit. (Type G) Transit Visa is required for foreign citizens who are going to pass through Iran to another country. (Type H) Press Visa is required for the journalists travailing to Iran on business. The application must be submitted to the embassy’s press section. Friendlyiran team is able to apply for both Iran Tourist Visa and Iran Business visa. 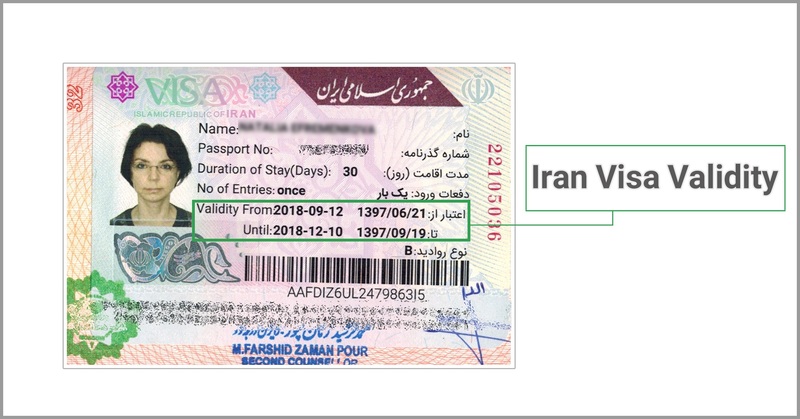 You can see visa validity on the Iranian visa sticker. 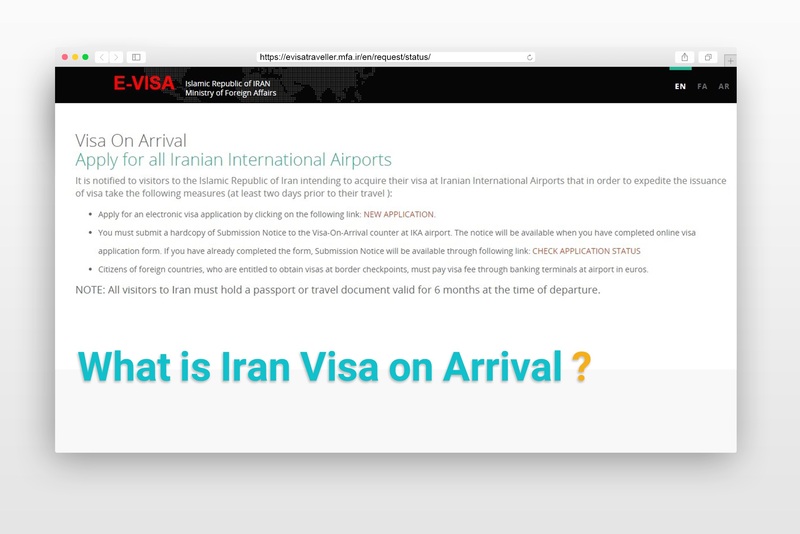 You must travel to Iran during the validity of visa and of course exit the country before Iran visa expiration. please mention that it could be extended. All nationals except Americans, Canadians and the English can extend their Iran visa at the police offices for immigrants and aliens in the cities of Iran. 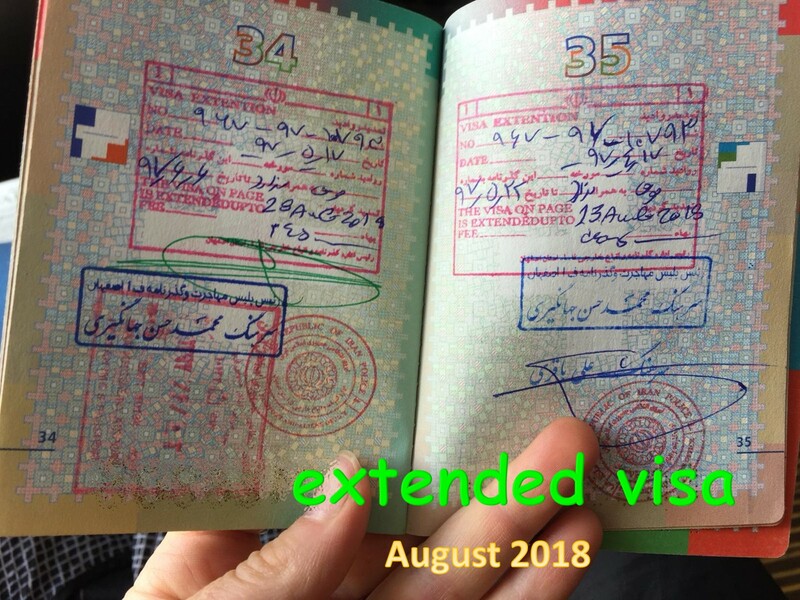 Please mention that the travelers who get their Iran visa stamped at the airport (VOA) cannot extend their visas (we’ve got some reports that some of them could!). Mashhad: Kaveh St – Pirouzi Blvd. Tehran: Soroush St., After Motahari Junction, Shariati Ave.
Yazd: Near Abouzar Sq, Kashani St.
Iran as a crossroad between East and West, always welcome its travelers with hospitality. Honestly getting visa for Iran is one of the simplest parts of Traveling to Iran. 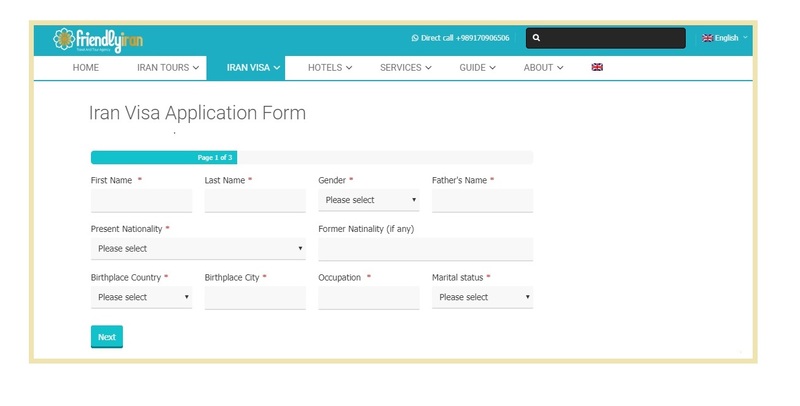 you can apply for your Iran visa online (E-visa) through the MFA official website but it’s easier to use a specialist visa agency or a travel agency. Although there is no guarantee to be accepted by specialist utilization, they do the Iran process every day and they know the fastest and easiest ways. For sure, the possibility of being approved is higher when you apply for visa through a reliable official Iranian travel agency. So, trust the Iranian travel agencies to help you throughout the Iran visa obtaining process. Our friendly team would happily manage the visa obtaining process and make it hassle free. Please take a few minutes to review the following Iran visa information and if you have further questions do not hesitate to contact us. Passport must be valid for six months and have two blank visa pages, at least. 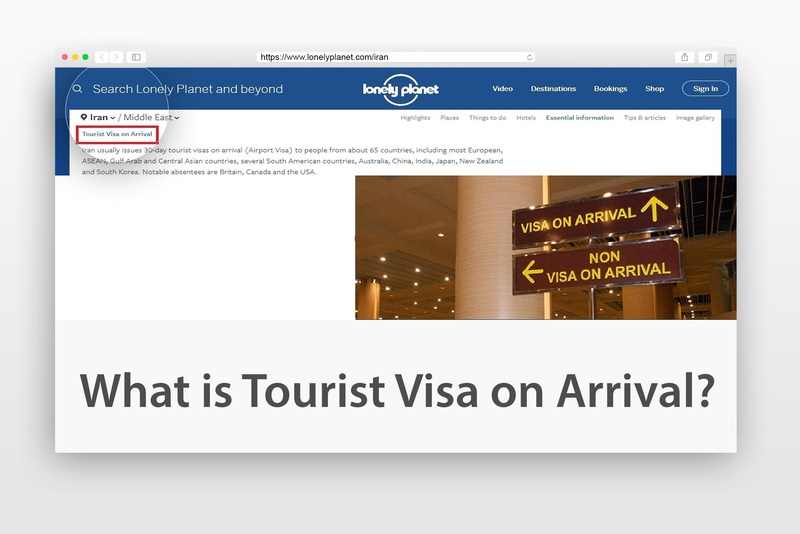 In the first step you should fill out the visa application form and attach your documents. 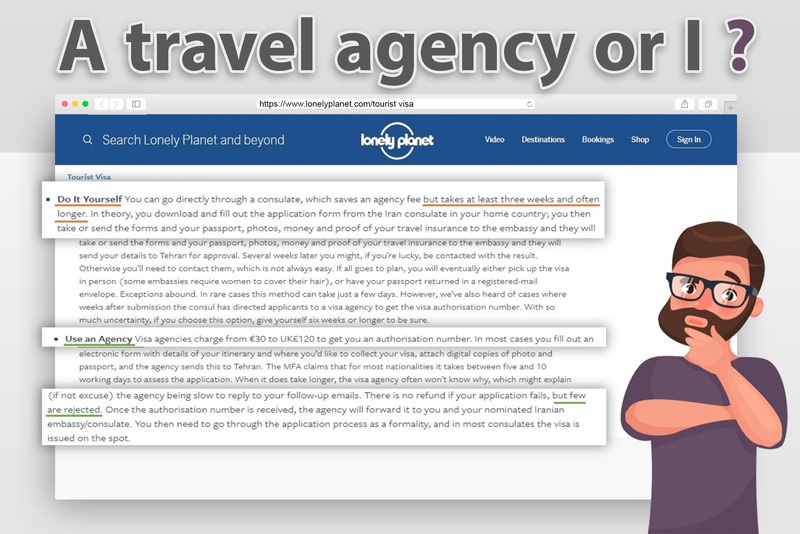 Visa tracking code also known as authorization number, application ID, Iran grant notice, submission notice, invitation letter or simply visa code is a code that is issued for Iran travelers by the Iranian Ministry of Foreign Affairs (MFA). Friendlyiran as a reliable travel agency applies to get your visa code. When the MFA has approved your Iran visa, we will send you the submission notice form and also the MFA send the code to the Iranian embassy or consulate designated in the visa application form. It takes about 10 working days to obtain your visa code. Unless you are US, UK or Canadian Passport Holder. You’d better call your selected Iranian embassy or consulate in the first three days after receiving the code from us and check whether they have received it from MFA or not. 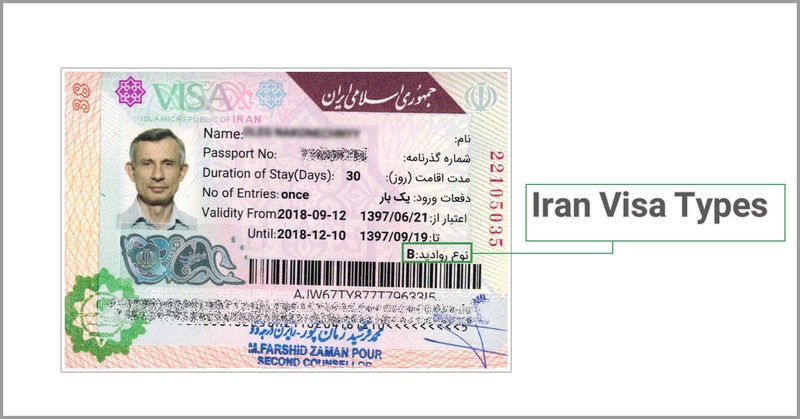 Iran Visa authorization number is valid for 25 days. Any other requirements that the designated embassy may request for. Note: the mentioned above requirements are general, for Specific items and conditions (like fingerprinting) of your designated Iranian embassy/consulate, please contact them. Iranian embassy or consulate will put the visa stamp into your passport or on a separate piece of paper. The Iranian embassies in different countries have their own regulations, some of them give you your visa at the same day you hand over your documents and the others ask you to refer in the following days. Iran visa is valid for 90 days from the time it is issued, and the visa holder can visit Iran for maximally one month during these 90 days (It could be extended under specific cases). if getting your visa stamped at an Iranian embassy or consulate located in your country is hard for you, we can arrange to get your Iran visa upon arrival at the airport. America, Canada, England, Afghanistan, Bangladesh, Somalia, Colombia, Pakistan, Iraq and Jordan. 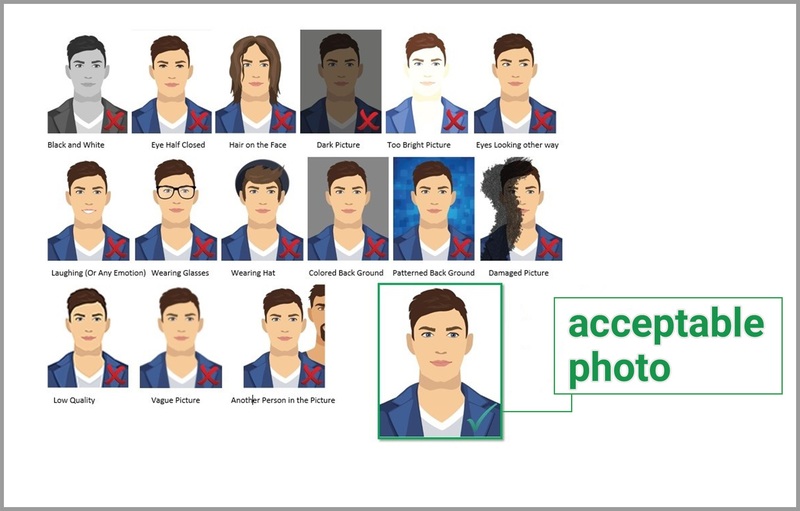 1) Fill out the Iran electronic visa (Iran E-visa) application form, at least ten working days before your travel, and send us your passport copy and personal photo and a confirmed return ticket. 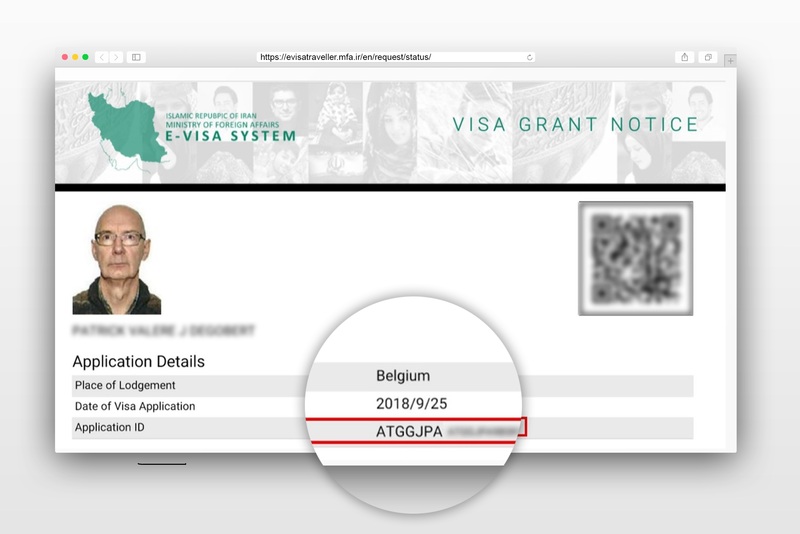 2) After filling the mentioned form, we will send you the visa tracking code during 3 to 7 working days. Please get a hard copy of this grant notice form. 3) When you arrive at Iran international airports, you must hand over the mentioned submission notice form to the Visa-On-Arrival counter at the airport. Fill out a form, including contact information for the hotels you have reserved. 4) Then go to the airport bank and make the payment for your visa (just in Euros). 5) Return to the visa-on-arrival counter with your passport, travel insurance, completed form and receipt from the bank. Wait while the visa application is being processed and the visa stamp is put into your passport. 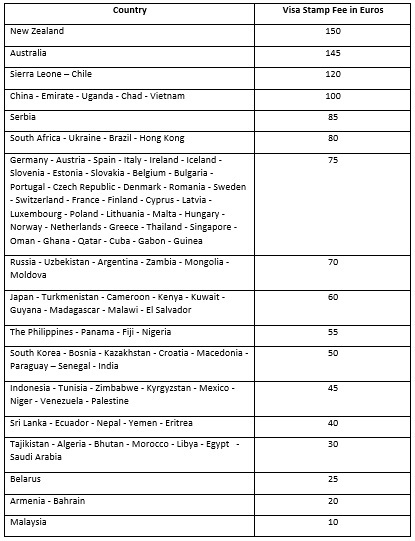 The Iran visa stamp fee list is given in the table below. If you want to visit Iran with the US, England or Canada passports, you should be part of a tour with a fixed itinerary accompanied by an MFA-approved guide. The citizens of Wales, Scotland and Ireland are exempt from this regulation. Contrary to popular belief, visa application for Iran for Canadians, Americans and the English is not complicated. To get your Iran visa please go through the getting Iran visa steps and send us your resume containing your education, occupation and contacting information. For your convenience, we will do the rest. The mentioned national visitors should wait up to 45 working days to receive their visa code. American and Canadian citizens can get Iran visa at the Iranian Interest Section of the Pakistani Embassy located in 2209 Wisconsin Avenue, N.W. Washington, D.C. 20007. Please mention that the interest section does not occasionally reply to emails and phone calls. English citizens can refer to the Iranian embassy in London. You can find one of our travelers experience of stamping his visa in Iran embassy of Londen, here. 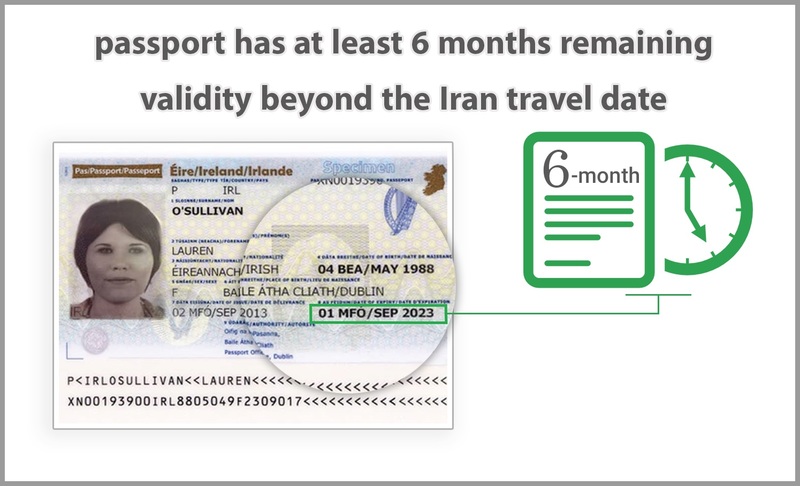 For Iran visa the passport must have at least 6-month validity and two blank pages justify. You can apply for Iran e-visa on your own but if we do this for you, as a reliable governmental Iranian travel agency, it would be approved easier. If you have Israeli visa stamp in your passport you can apply for Iran visa 6 months later. If you are born in Iran or your father is Iranian, you are assumed an Iranian citizen and you must travel to Iran with an Iranian passport. On the other hand, if you have an Iranian mother and your father has any other citizenship, you can travel to Iran with a non-Iranian passport. If you are a woman and your husband is Iranian and you have a marriage certificate valid to Iran, you are exempt from getting Iran visa and you can travel to Iran with your Iranian passport. Visiting Kish Island and Qeshm Island for 14 days doesn’t need visa. Iran visa is issued on a separate piece of paper with no trace in passport for all nationalities except American, English, Canadian, Afghan, Pakistani, Jordanian, Colombian, Bangladeshi and Somali. Israeli citizens cannot enter Iran. Do You Need a Visa if You Have a Passport?